Sugarland were honoured for their career achievements on Sunday (14Oct12) when they were inducted into the Georgia Music Hall of Fame. 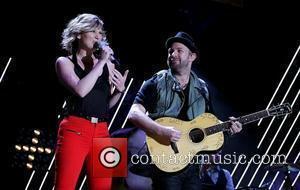 Band members Jennifer Nettles and Kristian Bush were the guests of honour at the ceremony, held at the Cobb Energy Performing Arts Centre in Atlanta. He wrote, "Getting inducted into the Georgia Hall of Fame tonight. Incredibly honored. Long list of thank yous coming... deep breath... To every person who helped me when I said I wanted to play music, bought me a ticket, sold me a guitar, fed me when I was broke, played me on the radio, bought my albums, joined me on a stage, let me open for them... Thank You. 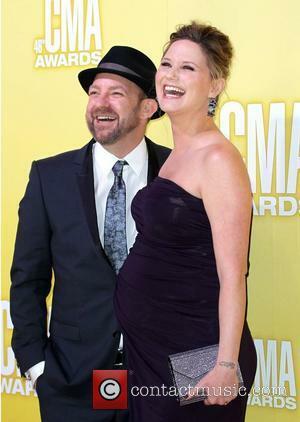 And thank You, Sugarlandmusic fans, for being the greatest fans in the whole universe." Nettles, who is pregnant with her first child, added, "Thanks for all the love on our Ga Music HallofFame induction tonight! 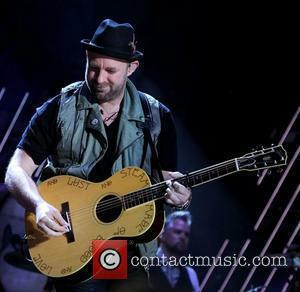 Congrats to kristian bush. Love right back to you all!"